The Bluegrass Mandolin 101 online lessons program continues this summer with three more four-week long intensive courses designed to help your overall mandolin playing technique and help you have more fun playing the mandolin! In the Music Theory and Mandolin Fretboard Exercises II with Matt Flinner course (August 14-September 8), is intended for students at all levels (though absolute beginners will likely find it too difficult) who want to understand more about music theory and how it relates to the mandolin. Each week, students will receive various exercises relating to scales, arpeggios, chords, progressions, transpositions and more. We’ll even analyze a little Bach, Beethoven and the Beatles. The goal is to help students learn more about the fretboard and be able to learn songs more quickly and improvise more easily. 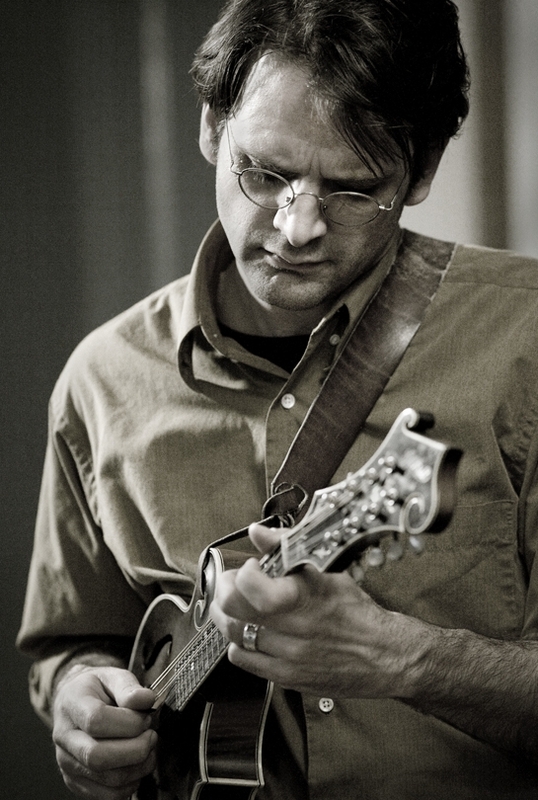 The Bluegrass Mandolin Jamming II with Matt Flinner course (August 15-September 8) is intended to help students play bluegrass music with other people. Each week, students will receive four new tunes (from beginner to advanced level) along with ways of playing rhythm, approaches to creating variations on the tune, and some exercises to help with fundamental technique. The goal is to help students learn more tunes, learn practical approaches to playing those tunes, and get out and play with other people! The Gypsy Swing Mandolin Jamming II with Matt Flinner course (August 13-September 8) is intended to help students play Gypsy swing tunes (in the style of, and from the repertoire of Django Reinhardt) with other people. Each week, students will receive four new tunes (at various levels of diffculty), along with ways of playing rhythm, exercises to help with elements of improvisation and learning the fretboard, and suggestions in how to create solos and/or improvise on the tunes for that week. The goal is to help students learn more tunes, learn practical approaches to improvisation and soloing, and get out and play with other people! All three courses are continuations of previous courses which will finish up in early August; however, it is not necessary for students to have taken the previous summer courses in order to register for and learn from the current courses. The Gypsy Swing Mandolin Jamming II course, which takes place on Monday evenings at 9 pm eastern time, is intended for intermediate to advanced players. The course is intended to help students build repertoire and get practical experience in playing tunes from the Django Reinhardt/Stephane Grappelli repertoire and creating and trying out variations and improvising on those tunes. This course will also have practice/review sessions on Saturdays at 10 am eastern time. The Music Theory and Mandolin Fretboard Exercises II course, which takes place on Tuesday evenings at 9 pm eastern time, is intended for students at all levels who want to learn some basic music theory as it applies to the mandolin. This course will help students of all ability levels learn more about the fretboard, be able to find and play melodies more quickly, and use music theory concepts to better their understanding of melodies, chord progressions, and improvisation. The course will also have practice/review sessions on Saturday mornings at 11 am eastern time. The Bluegrass Mandolin Jamming II course, which takes place on Wednesday afternoons and evenings at 2 and 9 pm eastern time, is intended for players of all ability levels, but will lean toward the intermediate level. The course is intended to help students build repertoire and get practical experience in playing tunes and creating and trying out variations. This course will also have practice/review sessions on Saturdays at 12:15 pm eastern time. NOTE: Wednesday afternoon sessions take place at 2 pm eastern time—a more convenient time for our friends in the UK and Europe! 2 pm eastern time translates to 7 or 8 pm in the UK and most of Europe. Students are welcome to join in on either or both of the Wednesday sessions each week (they will be essentially identical to one another in content). Here’s a description of the Bluegrass Mandolin 101 online experience that I hope will give you a good idea of what this exciting style of mandolin lessons is all about. The Bluegrass Mandolin 101 program is a unique approach to online mandolin lessons that gives students the best of both worlds: access to live lessons as well as recorded mandolin instructional videos. These courses focus on helping mandolin students get to the next level in their playing and broaden their understanding of the bluegrass, old-time and fiddle tune traditions. Part of what makes the Bluegrass Mandolin 101 program unique is the fact that students follow a step-by-step program of live lessons over a four-week course. The live lessons get a little more challenging each week, and students are encouraged to practice during the week in order to get comfortable with that week’s concepts in order to be more prepared for the next class session. Students also have unlimited access to several short instructional videos each week (usually about 8 or 9) but are also following a regular schedule which encourages them to actually practice the material regularly during the eight week period. The archive of short instructional videos plus the video recordings of each class session and practice session give the student plenty of material to work with during the course and on into their future mandolin endeavors! For Summer Quarter, there will be THREE 4-week courses offered from August 14-September 9. The Scale and Arpeggio Intensive course will focus on various aspects of technique. Each week, students will receive six or seven exercises and a tune to learn. Scale exercises, scale pattern exercises, arpeggios and double stop exercises will be given each week. Students will also be given some ideas on how to apply that week’s exercises to that week’s tune in order to create variations. The Bluegrass Mandolin Jamming and Swing Mandolin Jamming courses will focus more on building repertoire, playing lead and rhythm and creating variations in a jam-like setting. Four tunes will be given each week, along with a few exercises and suggestions for incorporating those exercises into solos and/or improvisation. 1. Gypsy Swing Mandolin Jamming II with Matt Flinner which is geared toward upper intermediate to advanced students. Students will be given four swing tunes per week plus a few exerices and suggestions for ways of playing rhythm, along with suggestions on how to relate the exercises to the tunes in order to create variations and/or improvise. 2. Music Theory and Mandolin Fretboard Exercises II, which is open to players of all ability levels. Students will receive music theory exercises in scales, arpeggios, chords and more, along with simple melodies to transpose to various keys. 3. Bluegrass Mandolin Jamming II with Matt Flinner, which is open to players of all ability levels, but will lean toward the intermediate level. Students will be given four tunes each week along with a few exercises and suggestions on how to play lead and rhythm as well as create variations for that week’s tunes. The Gypsy Swing Mandolin Jamming II course will take place Monday evenings at 9 pm. There will also be Saturday practice/review sessions from 10-10:45 am eastern time. The Music Theory and Mandolin Fretboard Exercises II with Matt Flinner course take place every Tuesday night at 9 pm eastern time, with practice review sessions on Saturdays from 11-10:45 am eastern time. The Bluegrass Mandolin Jamming II course will take place on Wednesday afternoons and evenings at 2 pm and 9 pm eastern time. Afternoon sessions are intended for the convenience of our friends overseas! 7 or 8 pm in the UK and most of Europe is likely more convenient than 2 or 3 am! There will also be Saturday practice/review sessions from 12:15–1 pm eastern time. It is NOT imperative that students be able to attend the live mandolin class sessions. As all sessions will be recorded, students can revisit the recorded sessions during the week to catch up on that week’s material at their own leisure. Students attending the live lessons will be able to ask questions on the spot (and get immediate answers and interaction), while those watching the recorded sessions will be able to ask questions via email or on the class forum page. Students have access to video recordings of all of the class sessions and practice sessions as well (generally by the following morning, or, in the case of the Saturday practice sessions, later that afternoon). In addition, shorter practice videos of the material are immediately available for viewing after each class session, along with PDFs of the all of the material in standard notation and tablature. All of these videos (about eight or so per week) are available to view as many times as the student would like. Students can also download all materials (including videos and PDFs) to keep as long as they wish. Students will also be given a list of recommended recordings for each week’s tunes. A variety of mp3 recordings will be suggested in the hope that students will broaden their musical horizons and get a better idea of how the tunes are played by the masters! All live sessions are interactive; students can ask questions and/or demonstrate tunes or exercises via live microphone or telephone, or via a chat window (most students opt for this approach). The instructor is able to immediately respond and demonstrate the answers for the whole class. Another form of interaction comes via mp3 recordings; students can record mp3s on their own time of themselves playing the material (or anything else they want to send in) and send it to the instructor for feedback, which is also recorded in mp3 form and sent back to the student. Students can post their mp3s on the class site (and likely get encouraging feedback from other students in addition to the instructor) or email them privately to the instructor. That is completely up to the student. While, say, 30 minutes per day might be a good recommendation for practice time, students can make whatever they choose of this course based on their own schedule and aspirations. Practicing week to week (again, say 30 minutes per day) will help students keep up with the week’s lessons and concepts, but the instructor knows that people have busy lives! This is why all instructional material is archived and available for download so that students can learn on their own time after the course has finished as well as during the eight weeks of classes. However, one advantage to the four-week scheduled course is that by practicing at least somewhat regularly, students are more able to be prepared for the following week’s lessons and therefore take full advantage of the live and recorded mix of lesson material. Students can decide whether to practice along with the class session or with the shorter individual videos (or both), depending on what they want to focus on for that week. Material is given each week that is targeted toward various ability levels; a song is given which is playable for beginning to intermediate players (or intermediate to advanced in the 102 class), and various concepts relating to that song are also given to educate and challenge players at beginning, intermediate and even advanced levels. The student essentially decides how much they want to take on for the week (and the course) based on their ability level and how much practice time they have. Any material they were unable to get to during the week and want to revisit later will be available in the archived videos and PDFs. The instructor will also give students a recommended list of priorities each week to help students take the best advantage of their practice time. This is the virtual gathering place for Summer Intensive 101 and 201 courses, where students can view the instructional videos, view and/or download all written materials, listen to mp3s of Matt playing the tunes, get listening recommendations, ask questions, submit their own mp3s for feedback and generate forum discussions. It’s a great place to drop by any time and explore, learn and discuss. Fees for the 4-week summer courses are $125 each. “I’ve practiced more in two weeks than I have in months! Really enjoying how it’s going.”—Donna O. “I have to say that making everything available online is a great convenience for me. Being able to stop and return to a more challenging exercise or a newer phrase is great for learning. I also really appreciate your availability to answer questions offline. This is a great course, and I feel as though I’m improving daily because of it.”—Joe C.
“The level was perfect. Mentally I understand many things that have opened up the fingerboard a lot; now I need some quality time to get it under my hands. I found things challenging without feeling out of reach.”—Stan M.
“I’m really enjoying the course. The first time I’ve actually practiced an instrument in my 60 years!”—Skip H.
To view Blues, Bach and Monroe-Style courses offered in the fall, click here. You can always ask questions about the courses via email ([email protected]), and I’ll get back to you as quickly as possible. I hope to see you this summer!